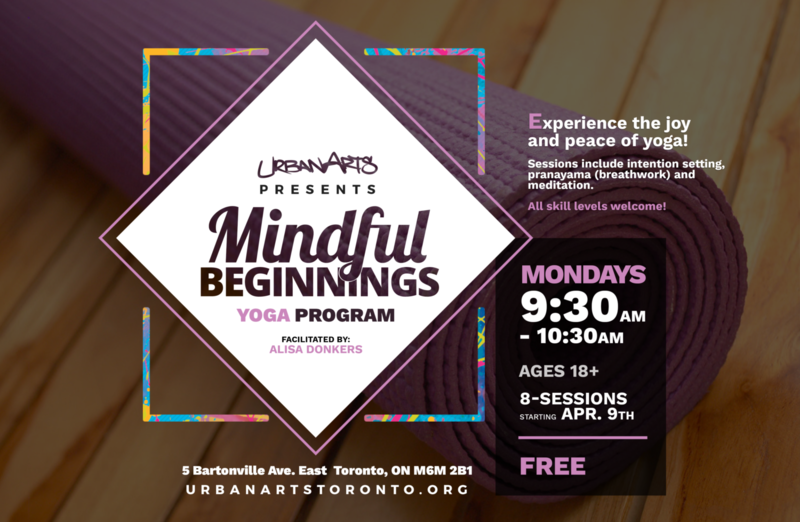 UrbanArts invites you to start your week with a mindfulness practice of yoga and meditation. This class includes a beginners Hatha flow, intention setting, pranayama (breathing techniques) and meditation. Meaning SUN and MOON, the Hatha yoga addresses this opposition and attempts to create balance in the body and mind. The program will introduce a variety of meditation and intention-setting techniques which helps to create positive affirmation and goals for the week. This class is perfect for an absolute beginner and will provide a proper foundation to step into yoga movement! Please bring a water bottle and your own mat. If you do not have one, a limited number of mats are available in our space to borrow.